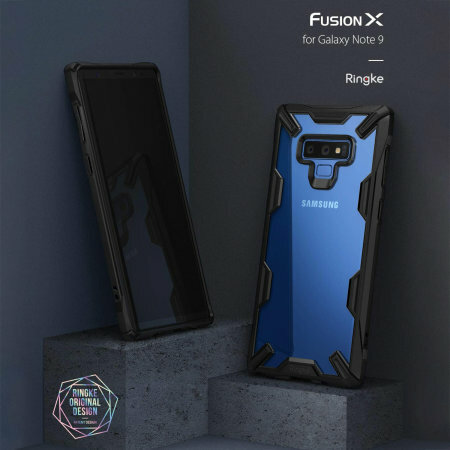 The Rearth Ringke Fusion X's 2-part design combines a resilient TPU bumper with a tough Polycarbonate back to provide the very best protection for your Note 9. 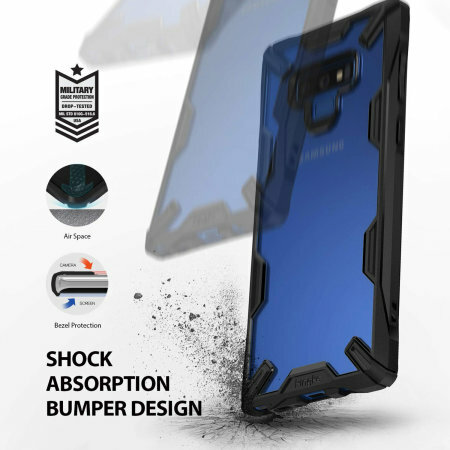 Featuring a raised bezel to protect your precious device's screen and toughened corners for military grade drop protection, the Fusion X case ensures that the Note 9 comes away from knocks and drops looking as good as new. 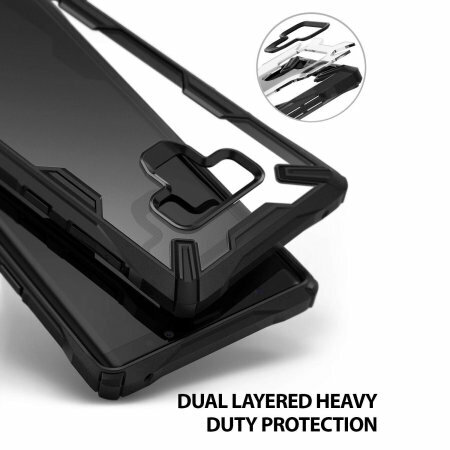 The Ringke Fusion X case offers MIL-STD 810G - 516.6 Certified Military Grade Drop Protection. 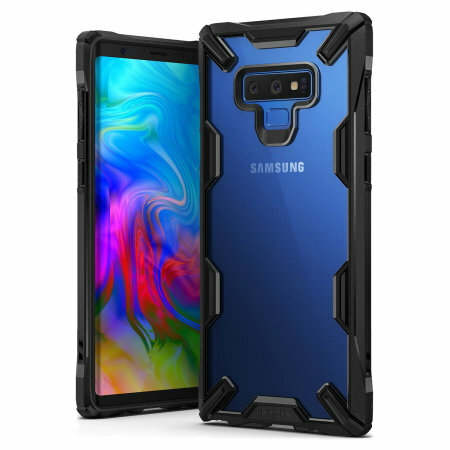 This means that the Fusion X for the Samsung Galaxy Note 9 has been extensively drop tested, without any damage being caused to the Note 9 so you can feel reassured that your device is well protected. 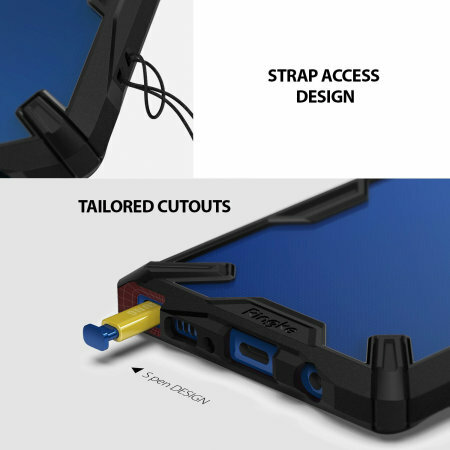 This is, in part thanks to the Fusion X's edge protection design, which incorporates reinforced, shock absorbing TPU corners into the Fusion X's body. 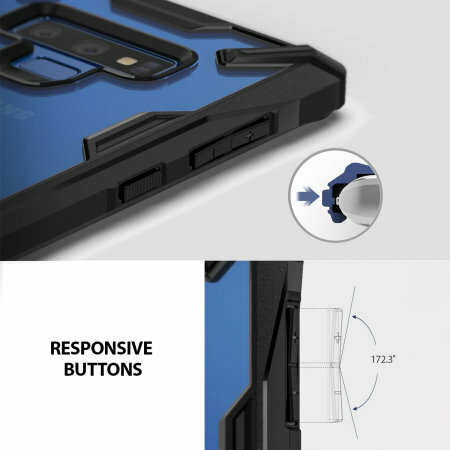 The outer TPU bumper of the Fusion X case has integrated ridges and a non-slip design to allow for a comfortable, secure grip of your device. 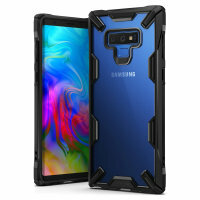 Designed to complement the unique styling of the Samsung Galaxy Note 9's back, the Ringke Fusion X case has a completely transparent back so you can admire the full beauty of the Note 9's design. 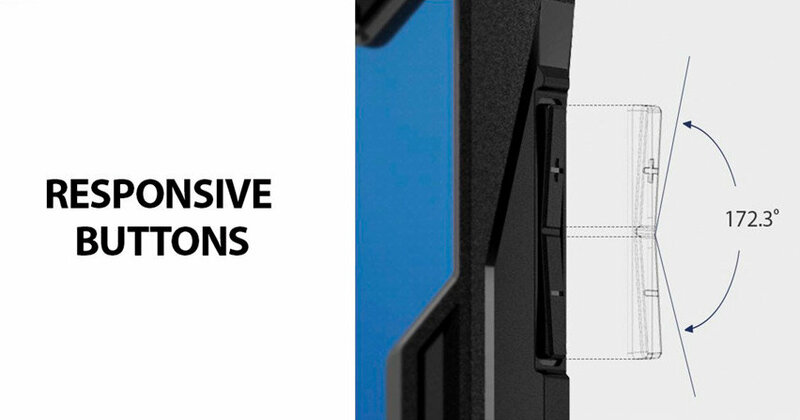 With a slim profile and futuristic look, the bumper of this 2-part case helps the Fusion X to stand out from the rest. 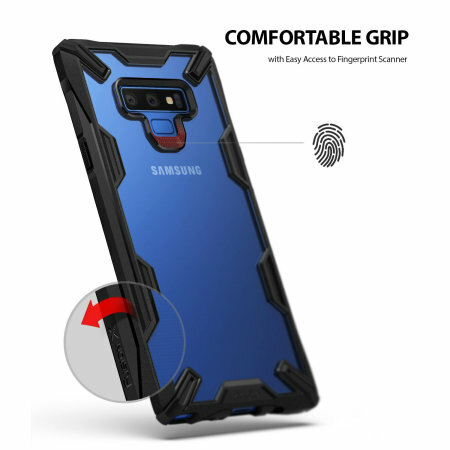 The shell has all of the appropriate cutouts for the ports and features of your Samsung Galaxy Note 9 such as the camera and flash. The Fusion X also includes TPU hardened, responsive buttons and a USB-C port cover for extra protection. 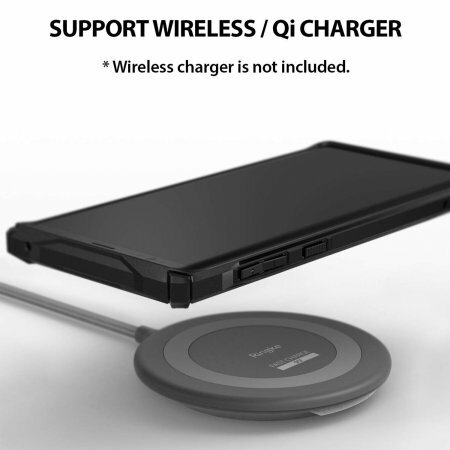 Looking for a convenient way to carry your Note 9? 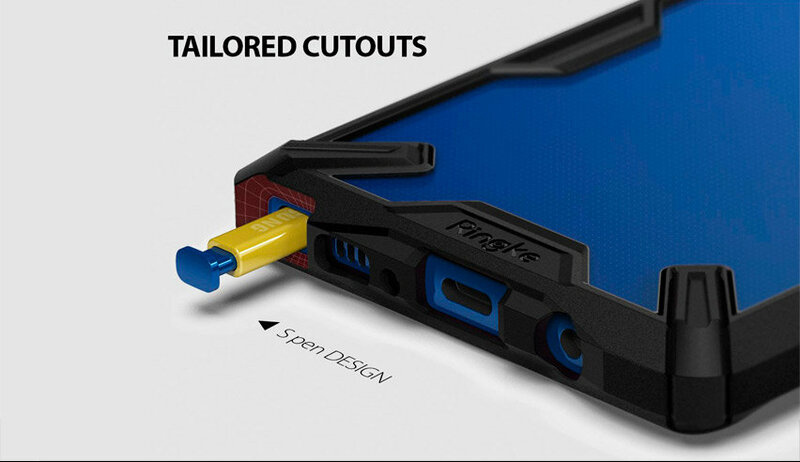 The Ringke Fusion X case includes lanyard cutouts for an easy way to securely carry your Note 9. The simple slip on design allows for easy installation and removal if necessary. 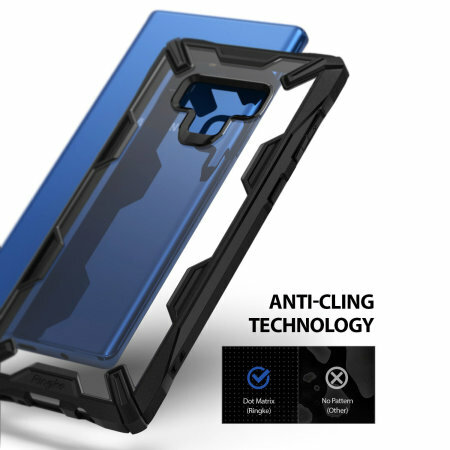 It features a special coating on the inside of the case which prevents the case from scratching the back of your phone and a smart dot-matrix on the transparent Polycarbonate rear to avoid bubbles or a rainbow effect.